Tree moving as the name suggests, is a process of relocating trees and it is done for landscaping purposes as well as when a tree comes in the way of a development project. Instead of cutting down trees, the best way to get rid of them in unwanted locations is to move them. The tree moving technique is now being practiced in many countries and you can find and take the help of various professional tree movers for this purpose. A professional tree mover located in Illinois is Arbor Care Inc. Their office is located on 22264 Pfeiffer Rd Frankfort, IL 60423. This family owned business has been serving the community for 30 years and their main business is tree transplanting and tree relocation. 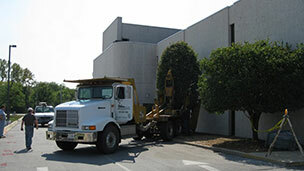 They are the leading tree arborist in Frankfort IL, and are known to provide exceptional tree services to their clients. They have expert tree specialists which can guide and help you in deciding which tree species would best suit your property and how can you maintain the health as well as the beauty of the trees. Before performing any kind of service, they examine your land thoroughly and then give the relevant suggestions. Their arboriculture includes tree health, systemic insect and disease control, safety consultations, appraisals and more. Other services offered by the company include Tree transplanting, GPS tree inventory, tree sales, plant health care, insect and disease control, tree preservation, tree planting and establishment etc. This company also provides the service of selling trees. Planting larger trees can add character as well as value to your property and the surroundings. They also contribute in making your environment look fresh and clean. You can handpick any tree of your choice by visiting their nursery which is spread on an area of 10 acres and has a wide variety of shade and ornamentals to create that look that you desire. Whether it’s a show stopper for your front lawn or a tall screen to turn an unsightly view into the lush green of nature, as a backdrop for your choice of flowering plants, Arbor Care Inc. can help you achieve the garden of your dreams. They supply and plant trees from 2″ to 10″ in diameter and evergreens from 6′ to 30′ tall. It is very important that if you want to transplant trees in your garden, you must hire a professional for this purpose because the proper planting of trees helps them in leading a healthy and long life in years to come. An unprofessional on the other hand can damage the trees which will in turn shorten their life. So in order to avoid your time and money being wasted, it is essential that the services of professional tree movers and Transplanters like Arbor Care Inc. are hired. Trees can enhance the value of your property up to 15% and can also solve landscape problems so it is very important that you consult a professional tree mover like Arbor Care Inc. to get the best possible advice and service for your property.